Mrs. Quinn's Easy Brownies are the rich fudgy kind. If you bake them just a little longer, they won’t be as fudgy. Just be sure not to bake them too long or they will dry out. Set the butter aside to cool. Combine the cocoa powder, flour, baking powder, salt and sugar in a medium bowl. Heat the oven to 350 degrees F. Grease a 13x9 inch pan. Beat the melted butter, sugar, vanilla eggs, sugar, and vanilla in a large bowl. Beat until it is well combined. Stir in the nuts and the chips. Bake Mrs. Quinn's Easy Brownies for 20-22 minutes. You can eat these plain or frost them with a nice chocolate buttercream. I like them plain, served warm, topped with ice cream and hot fudge sauce. These are my next door, tea-totally, neighbor gets these brownies at least once a year for her birthday. It’s made with not one, but two different flavors of alcohol. 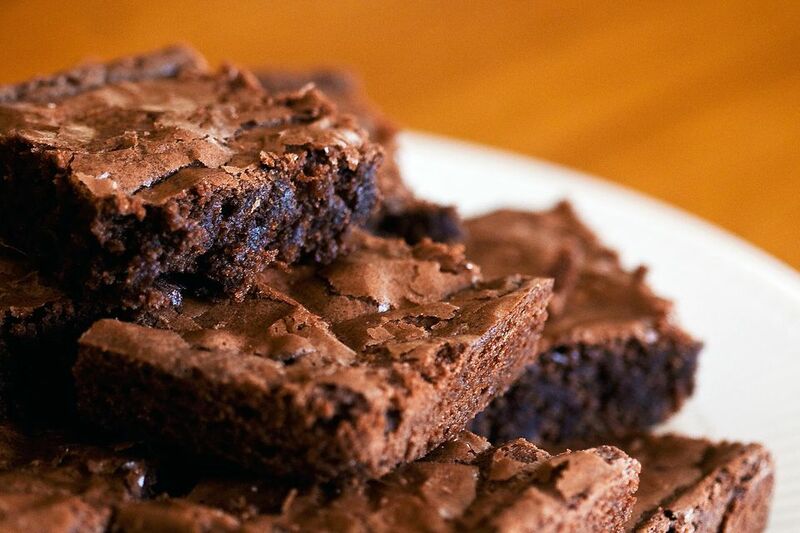 These brownies get their flavor from your choice of liqueur. My two favorite liqueurs to use with this recipe are: amaretto (almond flavored) or Kahlua (coffee flavored). You’ll find toffee bits and chocolate covered toffee bars in this recipe for Toffee Brownies. You can use either Skor bars or Heath bars for the toffee bars. This is one of the those recipes that is astounding. It’s hard to believe that just by mixing a pecan pie, cut into cubes, and a prepared brownie batter makes such a wonderful treat. Take this brownie batter and bake it in a mini muffin tin to make your own brownie bites. Next time you want to make a dessert a little different, try this recipe. It’s a brownie batter bakes in a pie crust. Be sure to serve it warm with a scoop of ice cream.